Our pathogen detection approach relies on Cas13a digesting RNA. A common way of monitoring RNase activities is using commercially available RNaseAlert, consisting of a fluorescent RNA beacon. This is impractical for in-field applications because commercial fluorescence detectors are expensive and inconveniently large. We therefore make our pathogen detection system fit for in-field applications by developing a cheap and handy fluorescence detector. Although many previous iGEM teams constructed fluorescence detectors, we could not find any that had a high enough sensitivity or the ability to measure fluorescence quantitatively. We therefore constructed a detector matching our requirements and compared it to others in a cost vs sensitivity diagram. Our detector is paper-based and can detect fluorescein concentrations down to 100 nM. The detector is able to automatically measure fluorescence in units of equivalent fluorescein concentrations. It fits in a pipette box and costs less than 15 $. We were able to measure a time trace of Cas13a digesting RNaseAlert with our detector. 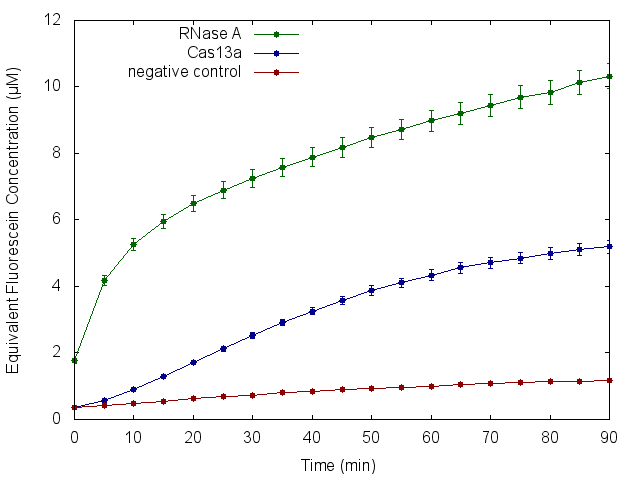 For comparison we also measured a positive control containing RNase A and a negative control containing only RNaseAlert. The data are displayed in the figure below. The time traces show an enzymatic reaction taking place on filter paper. For our experiments we used 185 nM RNaseAlert. By assuming that RNase A digested all RNaseAlert, we conclude that 185 nM of RNaseAlert have an equivalent fluorescence to 10 µM fluorescein. Our detection limit for RNaseAlert is therefore around 50 times lower which corresponds to a RNaseAlert concentration lower than 10 nM. This proves that our detector is sensitive enough and meets our requirements. However the detector is not limited to our specific application but can be used for the detection of any fluorescence signal in biological or chemical systems. 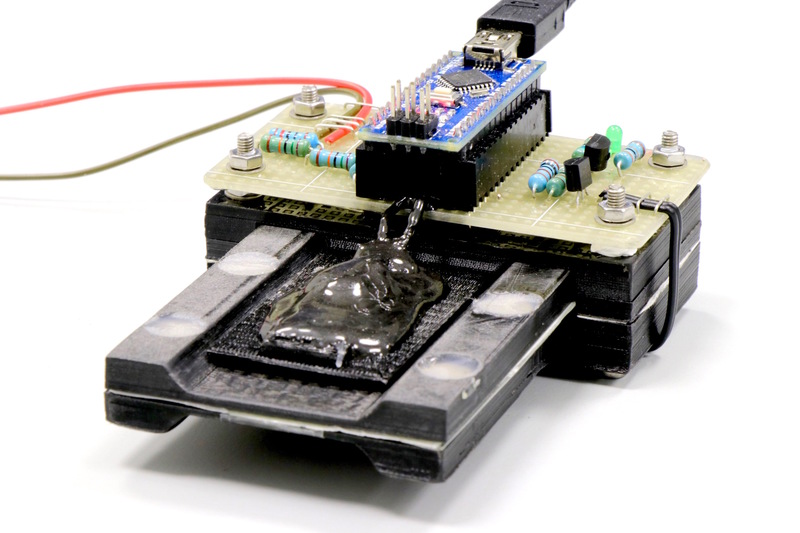 We therefore think that our detector can benefit other iGEM teams and research groups that want to make fluorescence based detection fit for in-field applications. Light from a blue LED is filtered by a blue filter foil and excites fluorophores on a filter paper. The excitation light is blocked by an orange filter foil while the emission light from the fluorophores passes through the orange filter foil and illuminates a light dependent resistor (LDR). 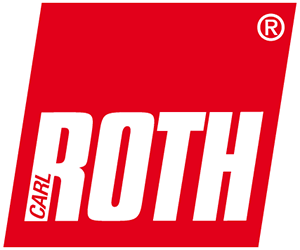 The LDR changes its resistance corresponding to the intensity of the fluorescence light. Finally an Arduino Nano measures the resistance via a voltage divider and calculates the fluorophore concentration. The two figures below show this overall design and the operational detector. We used an Arduino Nano for automatized data collection. This micro controller has analog pins that can measure voltages from 0 to 5 V and gives an integer from 0 to 1023 as output. The micro controller is connected via an USB port with a computer or smart-phone where the data can be processed further. where γ is a parameter depending on the type of resistor being used and can even differ for LDRs with the same type designation. which is given in the data sheet of the LDR. The denominator is the decadic logarithm of the fraction of two light intensities of 100 Lx and 10 Lx. R10 and R100 are the corresponding resistances at these light intensities. The used resistor with the type designation GL5516 NT00183 has a parameter γ of 0.8. The response of a LDR depends on the wavelength λ of the incoming light. The data sheet provides information on the relative response normalized to the maximal response. The relative response is maximum for a wavelength of 540 nm and is therefore appropriate for detection of green fluorophores. A voltage divider as shown in the figure below is the simplest way to measure resistance. 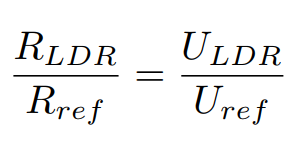 an equation to calculate RLDR from ULDR, which can be measured with the micro controller. We expect an Rmax of approximately 2 MΩ and an Rmin of approximately 1 MΩ. By using equation 8 as a guideline we choose Rref to be 1.5 MΩ. To detect green fluorophores we choose a blue LED with peak emission at 470 nm. For optimum performance we choose the brightest LED we could find. The used LED has a luminous intensity of 12 cd, a maximum current of 20 mA and a forward voltage of 3.2 V.
To provide a stable illumination, it is crucial to supply the LED with a constant voltage. We therefore control it via a NPN transistor with type designation BC635. Its base-emitter-on voltage is 2 V.
The digital output pin is connected to the base of the transistor via a voltage divider, consisting of the resistor R1 with a resistance of 1 kΩ and the resistor R2 with a resistance of 9.1 kΩ. When the output pin is set to 5 V a voltage of 4.5 V is present at the base of the transistor. This is above the base-emitter-on voltage and the LED is turned on. The resistor R3 with resistance 39 Ω was chosen empirically to limit the LEDs working current and to power it at maximum brightness. The control circuit is illustrated in the image below. Control circuit for the blue LED. For filtering the emission and excitation light we used filter foils from LEE filters. The producer provides transmission spectra for every filter foil. For the excitation filter we choose the filter color "TOKYO BLUE" and for the emission filter we choose the filter color "RUST". We used our UV-Vis spectrometer to measure the spectra of different combinations of filter foils. As shown in the figure below, a combination of one orange and two blue filter foils blocks nearly all light up to 700 nm. This combination is therefore ideal for blocking the excitation light of the blue LED from reaching the LDR. Transmission spectra of the chosen filter foils of our detector. 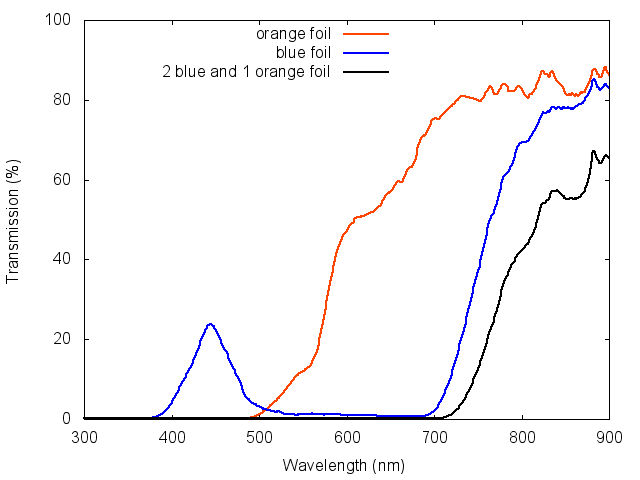 The transmission spectra for the orange filter foil (orange graph) has nearly no overlap with the transmission spectra of the blue filter foil (blue graph). The transmission spectra of two blue and one filter foil (black graph) is therefore nearly 0 up to 700 nm. We choose glass fiber filter paper from Whatman Laboratory Products with type designation "934-AH" to detect fluorescence on. In contrast, cellulose or nitrocellulose filter paper is autofluorescent and causes a high background signal. We intended to put the LED, the fluorescence sample and the LDR in direct proximity, to ensures a maximum use of excitation light and emission light. We therefore chose a sandwich-like design for our sample holder that can be placed into a slot where the detection system snaps in and keeps the sample in position. In detail, two blue filter foils are stacked and glued with tape in front of two excitation windows of the upper half of the sandwich. One orange filter foil is glued to the lower half of the sandwich. The two detection windows enable us to measure a blank sample and an actual sample with the exact same set-up. We avoid using scotch tape to cover the detection windows because tape is usually autofluorescent and causes a high background signal. A piece of filter paper is placed between the two halves of the sandwich. The upper and lower part of this sandwich are pressed together with magnets to hold the filter paper in position and ensure an user-friendly exchange of filter papers. We also designed a paper strip that matches our sample holder, to provide a low-cost and durable platform to store a reaction mix. An explosion drawing of the sample holder is shown in the figure below. Explosion drawing of the sample holder. The sandwich can now be inserted into the slot of the detection device. The LED and the LDR are mounted onto beams at opposite sides of the detection device. The sandwich snaps in when the LED and the LDR are at the right position under the excitation and over detection window. Four magnets apply an additional force to the beams and press the LED and the LDR close together. This design ensures that the distance between filter paper, LED and LDR is only limited by the thickness of the filter foils. An explosion drawing of the detection slot is shown in the figure below. Explosion drawing of the detection slot. STL files of the 3D printed parts can be found here. We kept an eye on using only low cost and easy available items for the construction of our detector. where k is a constant that depends on the transmission spectra of the filter foils, the spectra of the fluorophore, the spectra of the LED and light scattering effects of the filter paper, but not on I0. 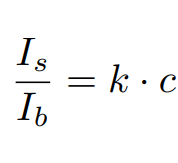 k can be assumed to be constant for one specific measurement set-up. We want to find a value for k from equation 16. 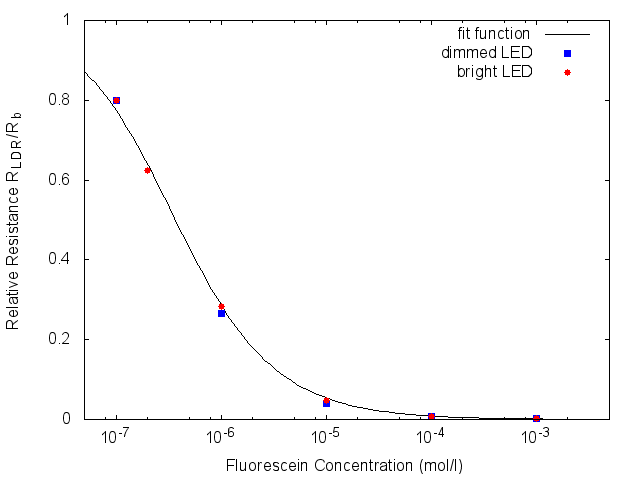 Normalized resistances RLDR/Rb vs fluorescein concentration c and corresponding fit function. To determine that k does not depend on the intensity I0 we made two measurement series. We changed the resistance R3 in series to the LED to dim the light Intensity I0. We used a 39 Ω resistor and a 60 Ω resistor. For the set-up with the 39 Ω resistor we additionally measured a 200 nM sample because this is the expected final working condition of the detector. We want to verify if a reaction with a fluorescence product is taking place on a filter paper. Therefore we need to measure the resistance RLDR over a certain time certain period. We choose to measure a data point every 5 min over a time period of 1.5 h to take trace of the reaction kinetics. Before such a measurement series a blank measurement with plain water is performed to determine the resistance Rb. As a first step the exact value of the supply voltage U0 needs to be measured. The supply voltage is connected via an additional voltage divider with an analog pin. The voltage divider consists of a 100 Ω resistor and a 910 kΩ resistor. The analog pin measures still a correct value for the supply voltage U0 because the first resistor is negligible small compared to the second resistor. We did not connect the analog pin directly with the power supply to prevent the micro controller from damage in case of a short circuit or a peak voltage caused by an other component of the overall device. The micro controller measures the supply voltage 50 times with a delay time of 50 ms between measurements. It calculates the average of U0 and the relative standard error σU0 , which is used as measurement uncertainty for further calculations. RLDR, Rb and their uncertainties are calculated by the micro controller, read by the computer and saved for further analysis in a text file. 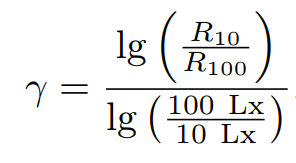 where σk is the relative uncertainty from the fit of k. We are now enabled to measure fluorescence in units of equivalent fluorescein concentrations c. We analysed data of a first experiment with these equations. The resulting figure is shown in the beginning of this documentation. With these quantitative data it is now an easy task to verify if the collateral RNase-activity of Cas13a got activated by the binding of target RNA. For the convenience of the end user we choose to extract two kinds of information from the time traces produced with our detector. We check if an enzymatic reaction has taken place on the filter paper by evaluating whether the first 5 data points show a monotonous rise. Additionally we check if a threshold of 3 µM equivalent fluorescein concentration was crossed by looking at the last 3 data points. These two informations are computed in the following way: if the reaction has taken place and the threshold was crossed, the detector software will show a plus, meaning "Pathogen detected"; if the reaction has not taken place but the threshold was crossed, the detector software will show a minus, meaning "Pathogen not detected". The other two combinations will also lead to the minus. The software will also create a graph similar to the graph in the beginning of this documentation to provide a deeper insight for the end user if needed. The software was written in Java, using the library for interfacing with the Arduino micro-controller. Right now it is optimized for Windows, but we plan on expanding it to more platforms. The code can be found on our github page. We think that our detector is a more reliable read out system compared to other possibilities, because Lightbringer provides deep insight into the reaction dynamics. Hence with an exact knowledge of Cas13a's reaction kinetics and further analytic tools, a nearly fail-safe read out can be achieved. A colorimetric readout, a binary change of color, in contrast, is way more primitive and provides no insight into any dynamics.